This Mushroom Sauce is an easy and an ideal complement to so many meats: roast beef, steaks, lamb, duck, chicken, salmon and even meatloaf (if you forgo topping the meatloaf with ketchup). In fact, it's mighty tasty simply spooned on some toasted baguette as an appetizer. The secret to the depth of flavor is the dried mushrooms. 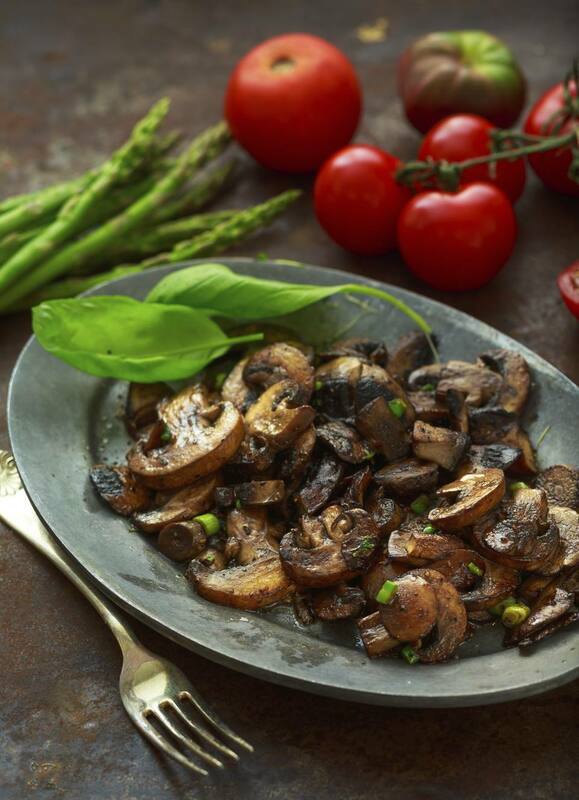 They, and the liquid you rehydrate them in, give the sauce an unusual flavor not found in fresh mushrooms alone. It's the mix of fresh thickly chopped crimini mushrooms mixed with the dried mushrooms that will provide a unique mouthfeel rich with various textures. For the wine, you can substitute a dry port for the red wine, which will make the sauce just a tad sweeter. The port will also thicken the viscosity of the sauce. Heat the wine to a simmer in a small (2-cup+) sauce pan. Add dried mushrooms and soak for 30 minutes or longer. Drain wine through a filter (I use a dedicated kitchen handkerchief, but a coffee filter works) reserving wine. Finely chop mushrooms and set aside. Heat a 10-inch skillet over medium heat. Add butter and swirl to melt. Return skillet to stove, increase heat to medium-high and add mushrooms. Cook mushrooms, stirring occasionally, until lightly browned for about 6 to 8 minutes. Add shallots, thyme and pepper and cook, stirring occasionally, for two more minutes. Add reserved wine and cook until reduced by half. Stir in beef broth and tomato paste. Mix arrowroot with a tablespoon of cold water and stir into sauce. Cook, stirring rapidly until thickened for about 1 minute. Taste and adjust seasonings to your taste. *Note: I used to buy those stupid 6 ounce cans of tomato paste and then throw away almost all of it. But if you look around you should be able to find tomato paste in a tube, which permits you to easily use only as much as you need and store the rest in the refrigerator.